At USF, making the world a better place is at the core of every curriculum. As a premier Jesuit university situated in the center of a world-class city, the university provides students from all backgrounds an education that is intensely personal and intellectually demanding. 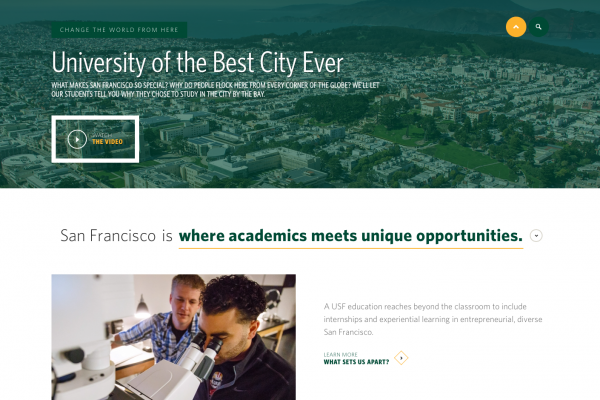 For USF, we worked hard to push the boundaries of what an .edu site could be. We wanted the design and navigation to be bold, innovative and forward thinking. 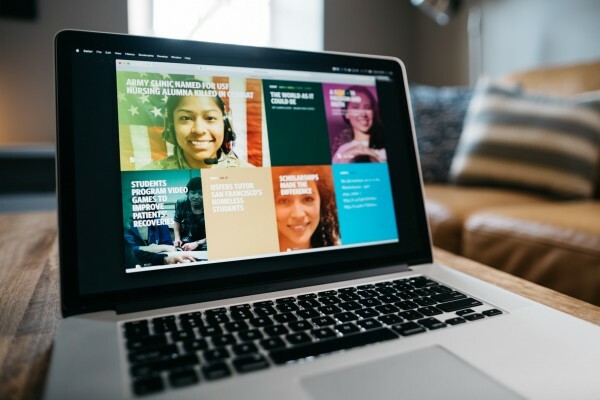 Aesthetics, concepts, and content strategy all portray a university committed to academic excellence, yet strongly engaged with people and the stories that make the experience transformational. San Francisco is a 7x7 mile living laboratory that inspires students, faculty, and alumni to set the world on fire. The website demonstrates their engagement around the Bay Area in everything from technology to nonprofits. We've all seen the immediately recognizable Drupal sites, where plug and play functionality trumps user experience in many cases. With USF, we invited our friends at Happy Cog to support the large-scale Drupal implementation. We worked collaboratively to build a content management system using Drupal that met the user requirements. The result? A beautiful and contemporary site that is powered by one of the world's most popular open source content management systems. The USF site is so large and complex that it could be easy to get lost within an individual section. The takeover navigation makes it easy to move around from major section to major section, but within a given area a user still has to have a sense of place - where are they now, and where can they go? Drupal’s standard menu modules don’t offer nearly enough granularity, so we implemented a custom module to make sure that those choices are always clear. Working with the USF team, the navigation was refined to make it clear to the user how to drill down for more detailed information and how to explore similar topics without feeling overwhelmed by too many options. 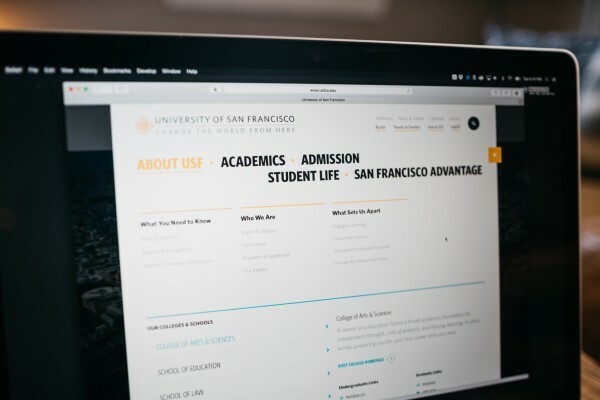 Finding the right “amount” of navigation is tricky, so options were added to the CMS to allow USF to hide, show, and tweak the presentation from page to page. 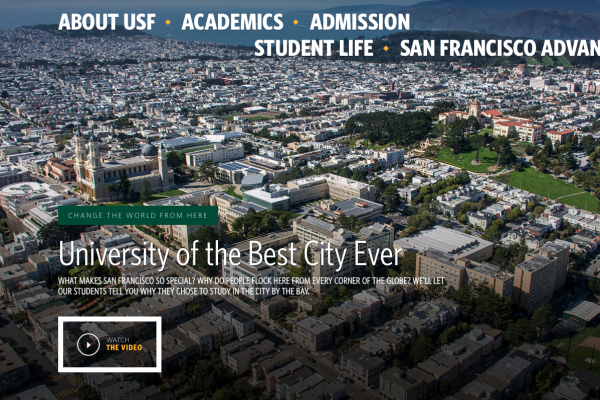 With bold, staggered type, the USF takeover navigation opens up an in-page experience that helps tell the story of the University. This navigation goes beyond a traditional drop-down menu, providing content as well as additional unique functionality. The USF news team is committed to touting the amazing stories bubbling out of the University. 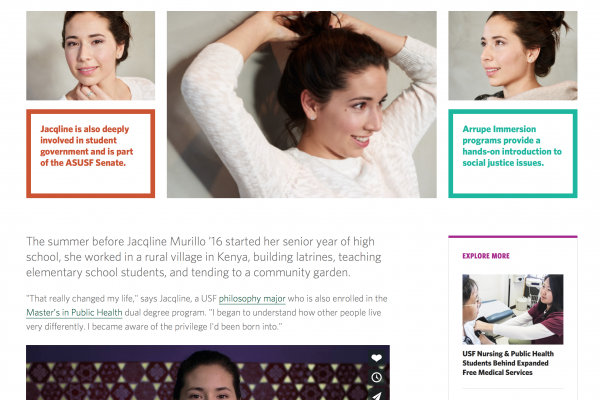 We built a vibrant and beautiful news hub that helps showcase the plethora of stories, profiles, and social media content coming from the University. 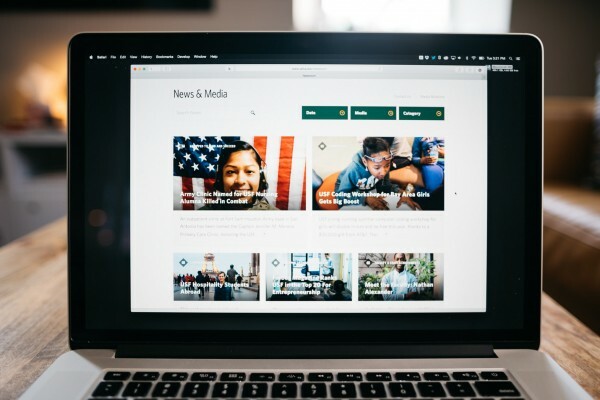 It feels alive and allows users to interact with news content in ways that support and showcase how USF is living up to its core values and mission. USF knows that its people are truly what make it special. They tasked us to build pages that go beyond the expected to bring unique profiles to the surface. 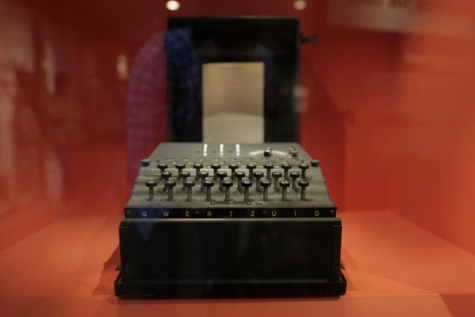 The content found here is focused, engaging, and brings attention to the University’s stories. We came to Fastspot with a complex list of requirements and they listened. 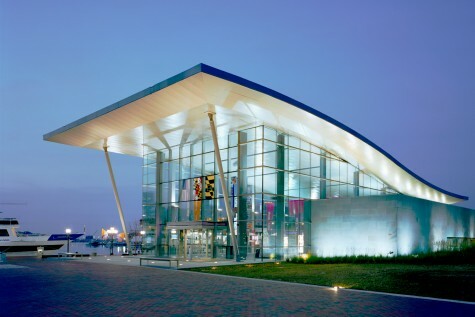 Their team delivered concepts that showcased our personality in a versatile, exciting, and engaging way.